Are you truly independent? Are you financially better off on an ID contract? The union believes that you aren't. We also believe the contracts to be illegal. To this end we are shortly launching a group action lawsuit against the company. 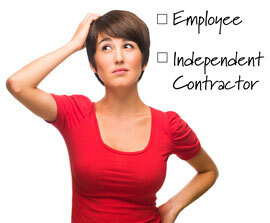 You can be a plaintiff if you are on an independent contract. Over the coming weeks we will be running a series of articles that highlight particular issues about the ID contracts. Feel free to contact us if you have particular questions about the contract. We will be updating this page as new articles are added.